Cloudant includes mobile sync libraries for both iOS® and Android™, enabling apps to store and access data locally, then sync to the cloud when an internet connection is available. Cloudant Geospatial combines the advanced geospatial queries of geographic information systems (GIS) with the flexibility and scalability of the Cloudant NoSQL Database-as-a-Service. 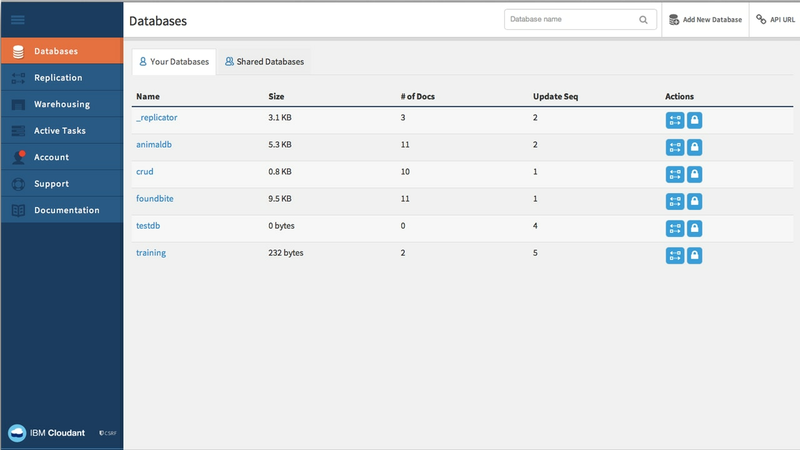 Cloudant includes pre-built connectors to popular analytics tools like Apache Spark and IBM dashDB, enabling you to explore your application’s JSON data and uncover business insights with ease. Take Cloudant JSON data (including geospatial types) and bring it into a Spark cluster or SQL warehouse where it can be explored, analyzed and visualized.